The students designed a GAA kit which they called Flames of Passion. 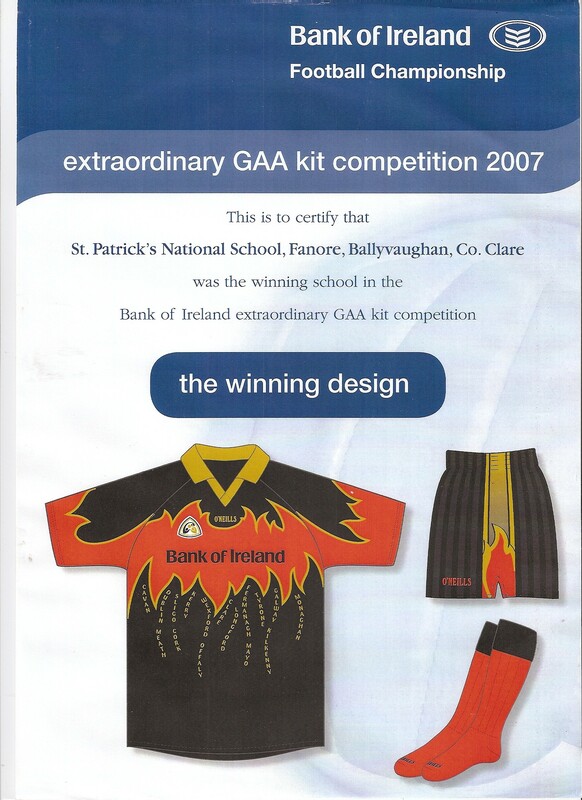 Their design was chosen as the winner and as a result the kit was produced by O’Neill’s Sports and presented to the school by Peter Canavan, GAA All Star Footballer. The children were invited to attend the All Ireland Football Final in September 2007 to display their kit during the prematch ceremony at this Football Final. ‘Get a Buzz Out of Reading’ bookmark was created by Hannah Casey. Her bookmark was published and was available in all the libraries in County Clare. 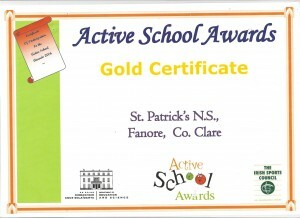 Each year the school participates in Active Schools Week. During this week, the children participate in a wide range of physical education activities. In 2006, the school compiled a portfolio of their activities. This led to the school representing Munster in the overall final. The children showcased their work in the Helix in Dublin and met the Minister for Education and Science, Mary Hanafin. The school received a monetary prize which was used to enhance the school’s physical education curriculum and sports programme. Our school composed a song as Gaeilge (in Irish) on our locality called ‘O’Fanóir, Fanóir‘. 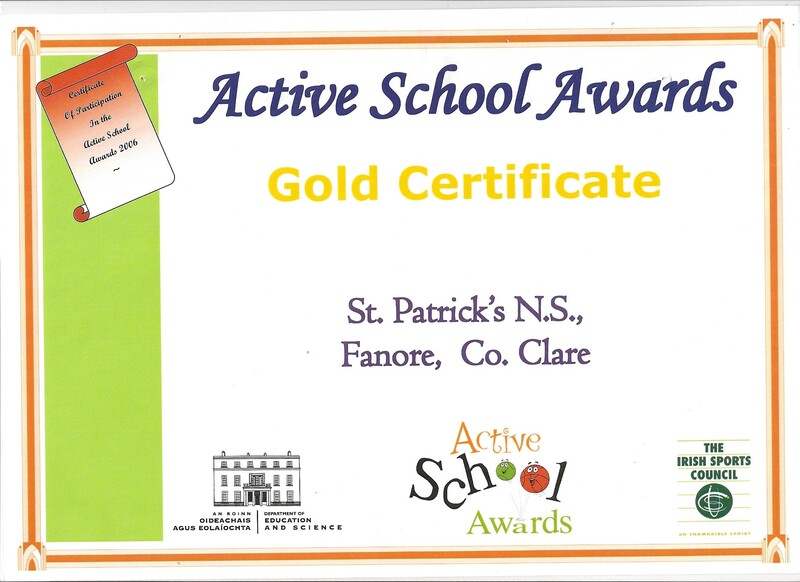 We won first prize in Category One in the Seachtain na Gaeilge Composition Competition. The children performed their winning song in Glor in Ennis, Co Clare. San áit sainiúil le sonas is só. Is brea liom cónaí ann. You can listen to the children singing their song by clicking O’Fanóir, Fanóir.